I was delighted to be invited onto the selection committee to judge the winning papers for the ACMP Global Conference 2015. 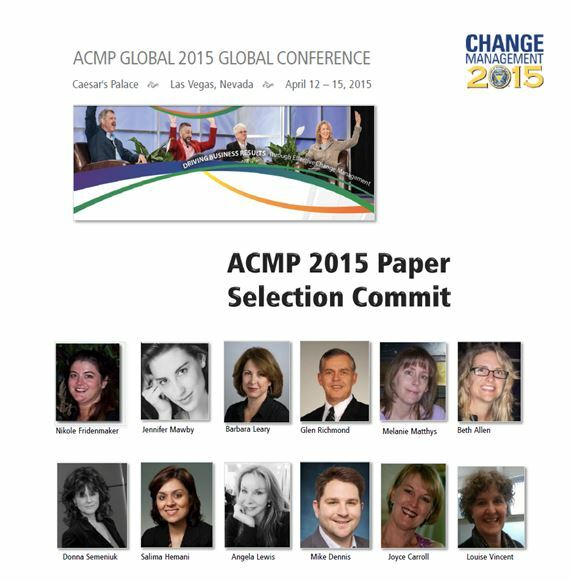 | Posted in Change Management | Comments Off on ACMP Global Conference 2015. 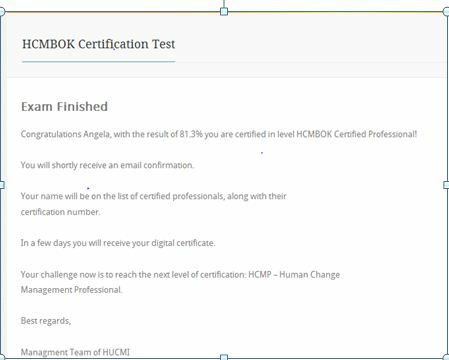 Ok, well I finally did it – after two (painful) tries at the Human Change Management Institute exam, which was (in my opinion), poorly written and therefore difficult to follow and understand – I finally passed! Finding a Model for Managing Change, ‘Training and Development in Australia’, Journal of the Australian Institute of Training and Development, Vol 39, No. 5, 2012. 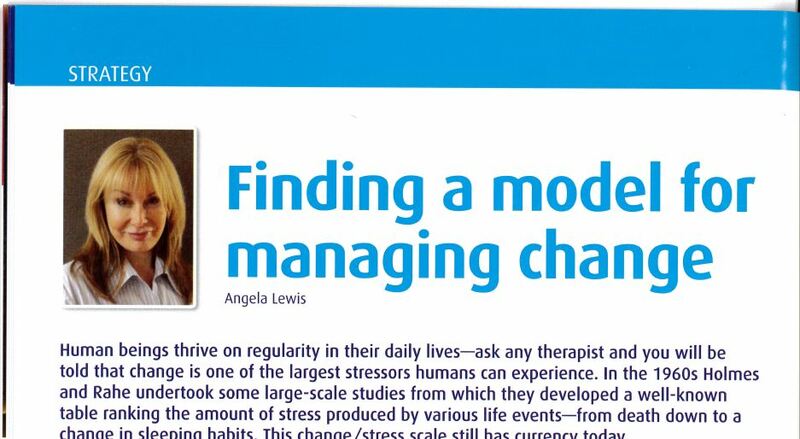 My book review of Employees’s Survival Guide to Change as it appears in: Training and Development Journal, August 2012, Vol 29, No.4. 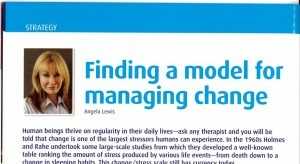 Ask any therapist and they will tell you that change (good or bad) is one of the largest stressors humans experience. This small but highly useful text is intended as a guidebook for employees facing change. However it is an equally valuable resource for those who must manage a change initiative, helping them to understand how employees can survive and thrive when an organisation undertakes a change. The book begins with a ‘frequently asked questions’ section about change, addressing areas such as why a change might be happening, the risks of not changing and the benefits of supporting a change. It then moves onto using the Prosci ADKAR (awareness, desire, knowledge, ability, reinforcement) model to illustrate how employees can create a successful action plan to address a change occurring in their workplace, providing worksheets and checklists to help achieve this. It finishes with a section specifically addressing employees joining a change management team, which is based on Prosci research that has identified the dos and don’ts for teams during their change management projects. The beauty of this book lies in its simple but powerful messages, making it accessible and relevant to anyone encountering change.